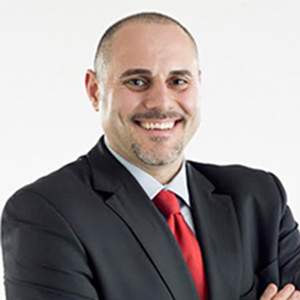 Allen Beydoun is the Executive Vice President of Sales at United Wholesale Mortgage, leading a team of over 450 account executives, team leaders, and division leaders. His leadership has helped propel UWM to being the #1 wholesale mortgage lender in the nation for three years in a row, more than triple the production of its closest competitor. Beydoun has played an integral role in leading UWM’s business development and client service efforts, implementing and executing on strategies and opportunities to grow UWM’s broker network and to help grow clients’ businesses. Already a leader in technology, innovation, and service, UWM successfully increased its loan production volume by 131% over the past 2 years and was the fastest-growing overall lender in America in 2017. Beydoun maintains a nationwide presence for UWM, regularly attending various industry tradeshows and independent mortgage Broker offices in order to share best practices, strengthen partnerships, and champion brokers’ success in the marketplace. He was recently named a Vanguard Award winner by HousingWire magazine one of the Top 40 Mortgage Professionals Under 40 by National Mortgage Professional magazine.